The Chief Justice of Nigeria, Walter Onnoghen, has said that the independence of the judiciary can only be sustained and guaranteed when there is no interference by the other arms of government in the discharge of its duties. Mr. Onneghen was speaking at the ongoing 2017 All Nigerian Judges' conference organised by the National Judicial Institute (NJI), Abuja, on Monday. He said closely linked to the independence of the judiciary was the need for governments and institutions to always obey court orders and judgments. "Today, Nigerians easily refer to the recent Supreme Court judgment in Kenya and some Court Orders in the United States of America and conclude that the judiciaries in those countries are doing better than ours. "They, however, forget to mention that President Uhuru Kenyatta promply accepted the judgment annulling his victory in the August 8 presidential election and agreed to a re-run against his opponent. "In similar fashion, the United States Department of Immigration did not wait for a presidential directive to allow immigrants from seven Muslim countries continued access to the US as soon as a court struck down President Donald Trump's Executive Order banning citizens of these countries from entering America," he explained. According to the CJN, the litmus test to find out how free and democratic any nation is, is to take a cursory look at its judiciary to find out what powers the nation is prepared to concede to this vital partner in governance. "The complete and real independence of the judiciary is thus a reflection of the nation and of freedom," he said. On the issue of financial autonomy for the judiciary, Mr. Onnoghen opined that funding of the judiciary was the most important and critical indices for assessing its independence. The CJN said though it might be true that the judiciary at the federal level enjoyed full financial independence, the same could not be said of the state judiciaries. He maintained that the issue of adequate funding at the state level was one of the greatest challenges confronting the nation's judicial system. He, therefore, advocated for the amendment of the applicable provisions of the 1999 Constitution to solve the lingering problems of state judiciaries. "Perhaps, a final solution may be found, if provision is made in proposed Constitutional amendments that, funds due to the state judiciaries be deducted from source when the states receive their monthly allocations from the Federation Account. "Such funds should be paid directly to the state judiciaries instead of the state governors," he added. 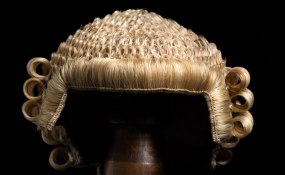 The CJN, who lauded the leadership of the National Judicial Institute for responding to the educational needs of judicial officers, said he had approved a roadmap developed by the institute for the introduction of Long and Short Term Courses for judicial officers and their supporting staff. He also said efforts were being made to amend the National Judicial Institute Act so as to give statutory backing to the proposed expansion of the Institute's scope of activities with regard to continuing education for judicial officers and their supporting staff. Mr. Onnoghen, therefore, solicited for the support and cooperation of the legislature in ensuring speedy passage of the proposed amendment bill.